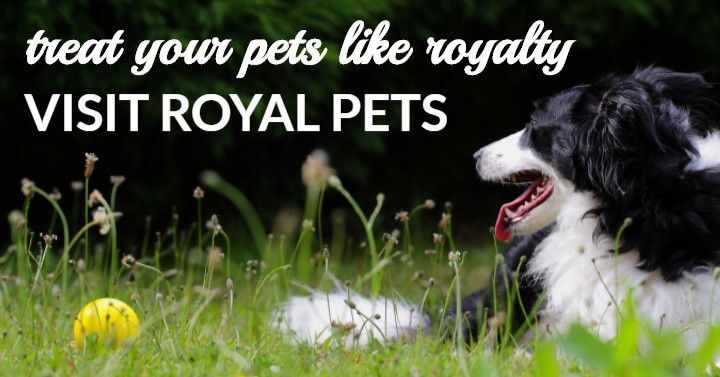 At Royal Pets Market & Resort, we’re all about treating our pets. We think there’s never a bad time to pick out a new toy or try out a new delicious bone (except if your veterinarian declares otherwise, that is). With a pet store that doubles as a pet grooming and boarding establishment, we love seeing the smiling faces of humans and animals alike as they enter one of our three locations. This is because there’s simply so much to love about your pet! They’re the ones you see when you get home, they’re the ones who wake you up—and even when you don’t especially want to be woken, you can’t help but love them all the same. 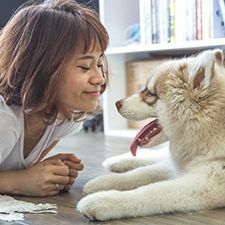 February is considered the season of love by many, and although we think there’s never an off season for showing some love, the upcoming Valentine’s Day can be a great opportunity to check back in and treat your paw-footed pal. Take a look at all the ways you can spoil Sylvester or Spot this year, and be sure to stop into our Apopka, St. Petersburg, or Palm Harbor locations! We look forward to seeing you (and your little dog, too). Sure, your pooch loves those Milk-Bones, but variety is forever the spice of life. This isn’t an average Saturday after you guys took a walk, this is Valentine’s Day! There are so many amazing types of treats you can try, and likely many you’ve never heard of. For example, did you know you can buy Valentine’s Day dog cakes with cute hearts on them, or even pupcorn? Even more themed and festive treats can be found at our pet store—and we’d say you should also go ahead and treat yourself to a new treat as well. Those days of making heart-shaped sugar cookies or other treats for your loved ones are wonderfully nostalgic. Just like you can make delightful desserts for humans, you can try making some dog-friendly treats as well. This article from Dog-Milk.com provides the cutest homemade DIY treats you can make your doggo, including peanut butter yogurt hearts and pupcakes! It’s OK if you start tearing up from the adorableness, we completely understand. From heart-shaped squeaky toys to softer discs, there’s any number of festive toys you can invest in to spoil your pet this holiday. Your dog will love chasing around a new toy, and you’ll love watching them have the time of their life. 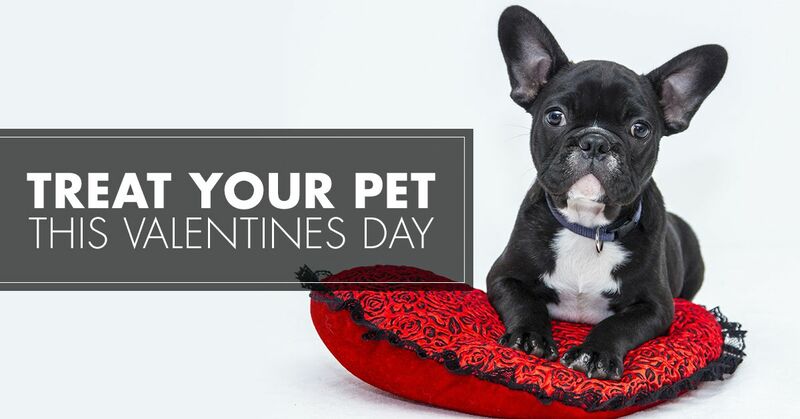 Check out our pet store in Apopka, St. Petersburg, or Palm Harbor to see what Valentine’s Day toy options we have in stock! There are tons of DIY pet toys you can make to treat your pet on February 14th. With some old t-shirts (we recommend those of the red, white, and pink variety) you can actually make a rope tug toy for your dog! For another cheap, easy, and fast toy option, you could take a longer sock, stuff a tennis ball inside, and tie a knot on either/both ends to create a fun new toy. How cute would this toy be with a cute decorative sock? But let’s not leave our favorite felines out of the equation. Take a stick or dowel of some sort, and fashion red and pink ribbon on the end of it. Braid these together, or keep them loose, and you’ll have a perfect toy to catch the attention of your curious cat. Get your pet all ready for the 14th with a colorful and love-filled photo shoot! Maybe these pictures are set for social media and wishing others a wonderful holiday, or maybe they’re just for you to frame and enjoy, but either way, this is a treat for your pet that very well might serve a dual purpose in bringing you joy as well. Before you break out the camera, did you schedule a dog grooming at Royal Pets Market & Resort? We can hook up your dog with bows, or at the very least, a fresh new cut to have them looking spiffy as ever for the big day. You probably don’t need to call weeks ahead for a romantic reservation at a fancy French restaurant for two to truly treat your dog. But taking them out for a nice long walk or visiting a dog park is a great way to let them enjoy the day. Additionally, there actually are restaurants or coffee shops that are dog-friendly—and they usually have pup treats available, too! Search your local area to see where you can take Trixie out on the town. Give them a night of royal treatment! Considering our pet resort has grass spaces for your dog, flat-screen TVs in every room, a 24-hr concierge service, treat time, and suite rooms for them to enjoy, this could perhaps be the greatest treat of all. Even better, this serves as a great option to give you a night to get away, or celebrate Galentine’s Day in style without having to worry about getting back in time to let Bruno out. 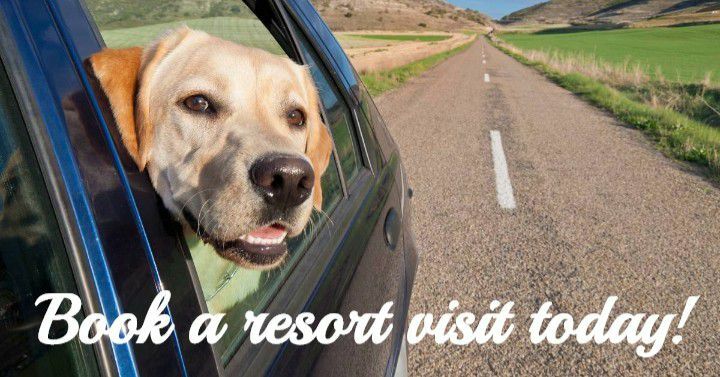 We believe that your pet should be treated like royalty, and a night at our pet resort is sure to exceed those expectations. No matter where you take your pet or how you spoil them this year, know that they are already so aware of the love you have for them. Valentine’s Day should be less about what you “have to do” and more about a day of celebration. Your dog, cat, bird, or even salamander will truly love continuing to get the care you already provide. And yet, there’s nothing wrong with being a little extra and spoiling them, either. 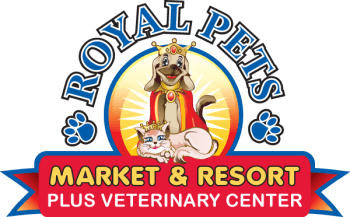 Stop by Royal Pets Market & Resort in Apopka, St. Petersburg, or Palm Harbor for the best in pet stores, dog grooming, pet boarding, and everything in between! We love seeing your pet about as much as you do, and are sure to treat them the way they deserve. Come visit one of our three locations today!